Since 1959, we've been a complete year-round family fun center. 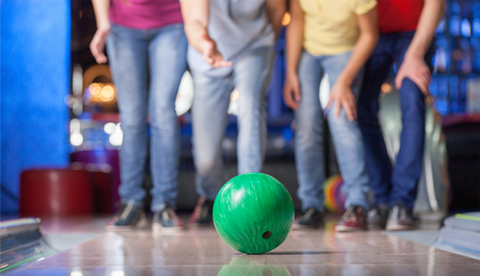 There's something fun for everyone at Leisure Bowling and Golf Center in Lancaster, PA. Bowl 24 hours. Call about our outdoor hours. WE ARE SMOKE-FREE 24/7 ! Get cash 24 hours a day at our indoor ATM. Leisure Bowling & Golfing Center is one mile from Route 30, and just 5 miles West of the City of Lancaster. Heading Westbound on Route 30, take the Centerville Exit turn left off the ramp onto Centerville Road. Turn right onto Columbia Avenue (Route 462 West ) and watch for Leisure on the left side. From downtown Lancaster, follow Columbia avenue (Route 462 ) West for 5 miles. Four Wild, Wacky, & Crazy New Colorful Turf Is now installed.